Bridgestone's latest development has been delivered in the Tatabánya Industrial Park. With the EUR 276 million project, the existing plant has more than doubled in size. An artificial intelligence-based manufacturing technology is used in the new unit for the first time outside Japan, which measures and analyses the quality of tyres being manufactured at 480 points. In addition to manufacturing, a warehouse with a capacity of 70,000 tyres has also been accommodated in the new hall building. The Tokyo-based Bridgestone is primarily engaged in the manufacture and development of tyres, which accounts for 84% of its product mix, while the remainder comprises automotive rubber parts, industrial rubber products, chemicals and sports products. Bridgestone is present with more than 180 factory units and R&D centres in 26 countries worldwide. Its products (tyres) are distributed in 150 countries. According to its 2016 year-end figures, the company employs more than 140,000 people worldwide. Bridgestone's main activity in Hungary is the manufacture of tyres and tubes, including the manufacture of passenger car and off-road tyres primarily for premium category motor vehicles, with a high speed index, in more than 230 sizes. The DriveGuard, Turanza and Potenza brands of the Bridgestone product line as well as the Roadhawk, Winterhawk and Destination brands of the Firestone product line are made at the plant. The supplier network of Bridgestone Tatabánya Termelő Kft. 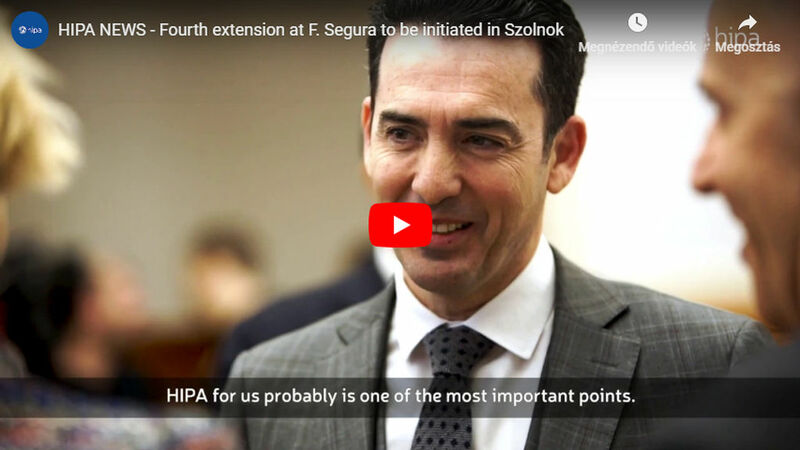 comprises about 750, mostly Hungarian small and medium-size enterprises, from which the company purchased goods and services to the value of HUF 4.6 billion last year. 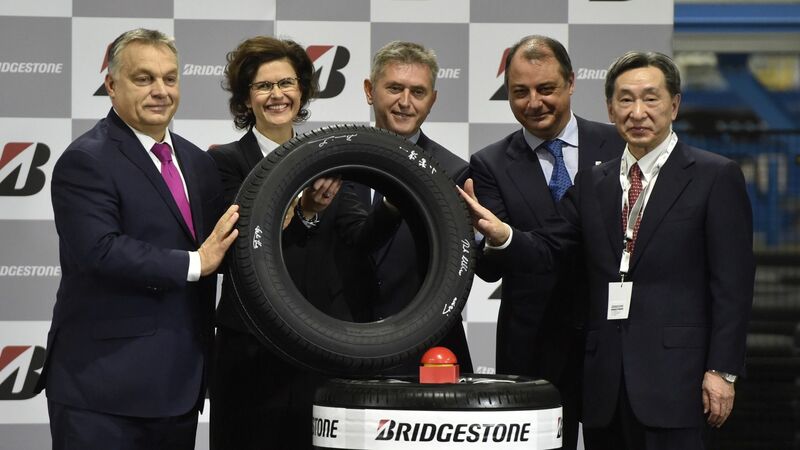 Bridgestone has been a strategic partner of the Hungarian government since 2013. With the just-delivered development, a new 97.200 m2 hall building was constructed behind the first, 47,200 m2 factory, through which the floor area of the plant more than doubled. Of Bridgestone's factories, an artificial intelligence-based manufacturing technology is used here for the first time in Europe after Japan, which measures and analyses the quality of tyres manufactured at 480 points. 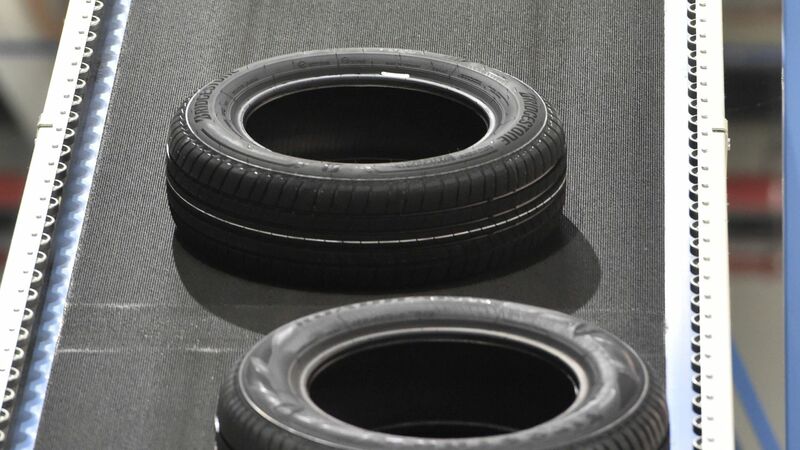 Also unique are a fully automated warehouse transporting and storing tyres waiting to be cured, suitable for the storage of 70,000 tyres as well as a final inspection and packaging system. 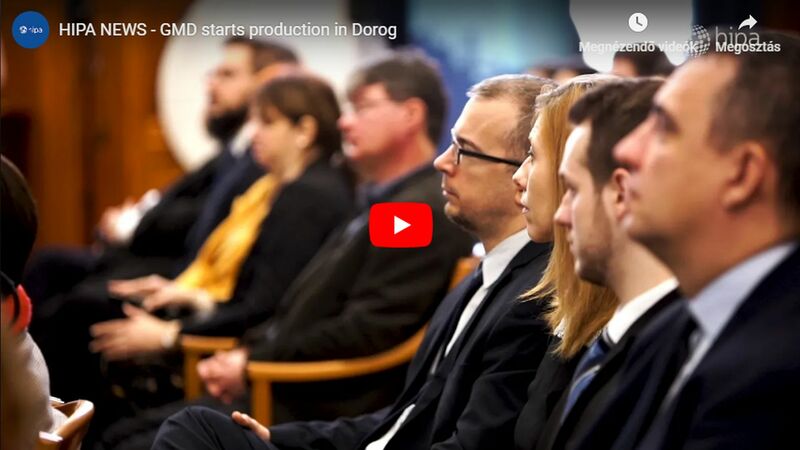 Simultaneously, the number of workers increased from 361 to 1,100, making the company one of the most important employers in Komárom-Esztergom County. 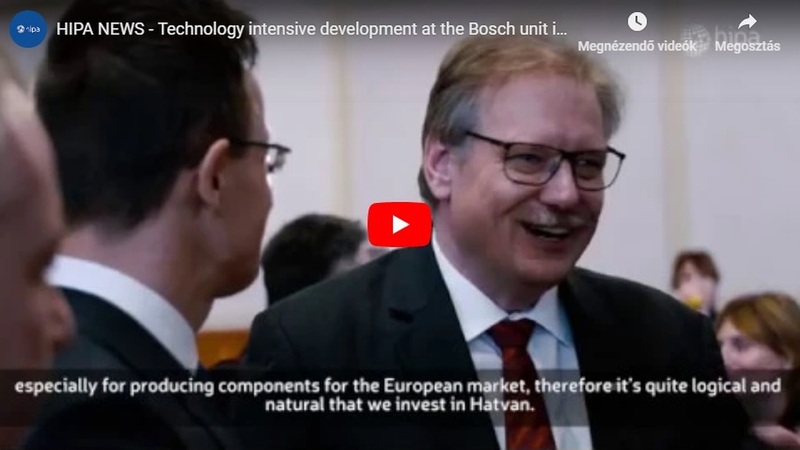 At the delivery of the new hall building, Prime Minister Viktor Orbán said that although Japan was 8,000 km from Hungary, it was considered the second largest investor in the country among non-European countries and 151 Japanese companies provided employment to 30,000 workers.